During Hurricane Sandy, La Guardia Airport’s five stormwater pump stations lost power, resulting in flooding of an estimated 100 million gallons of water. The Port Authority of New York & New Jersey quickly moved up its planned renovations and installed nine axial flow pumps capable of moving large volumes of water at low heads. 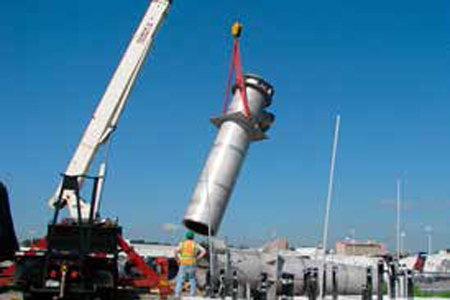 The propeller-type pumps have motors that are invulnerable to submersion during high-water incidents, improving the airport’s stormwater control, flexibility, and operational efficiency.